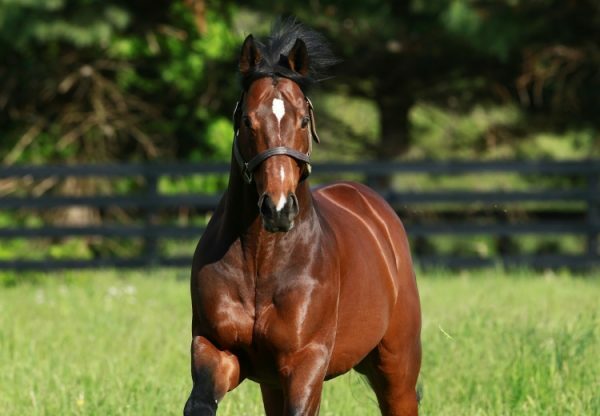 Quality colt Madefromlucky (3c Lookin at Lucky x Home from Oz, by Pulpit) stepped it up a notch when scoring a stylish victory in the $196,000 Grade II Peter Pan Stakes at Belmont on Saturday . 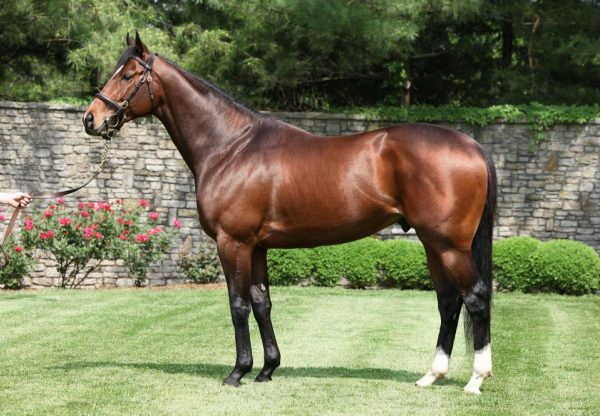 Second and fourth behind Kentucky Derby winner American Pharoah in the Grade II Rebel Stakes and Grade I Arkansas Derby, the Todd Pletcher trained Madefromlucky produced a career best performance to claim his first Black Type win. Madefromlucky travelled well in transit off the pace and found the line strongly to surge clear and win the 1 and 1/8th mile contest by a length, taking his overall record to three wins and three placings from eight starts with prizemoney of $378,700. “I had a beautiful trip behind the speed horses; there was a good pace in the race,” said winning rider Javier Castellano. “My horse settled beautifully off the pace and turning for home I had a clear trip. He did it the right way, switching leads at the right time and finished well. I think [he's a Belmont S. horse]. The way he did it today, why not? 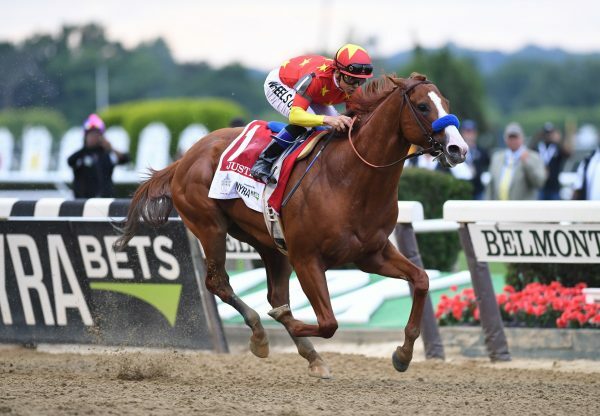 He finished very well; he finished strong and galloped out strong.” The Grade I Belmont Stakes on June 6 is certainly in the plans according to his trainer Todd Pletcher. "The Belmont Stakes is something we'd talked about a while back,” said Pletcher. “We felt [Madefromlucky] would keep going and going and going. 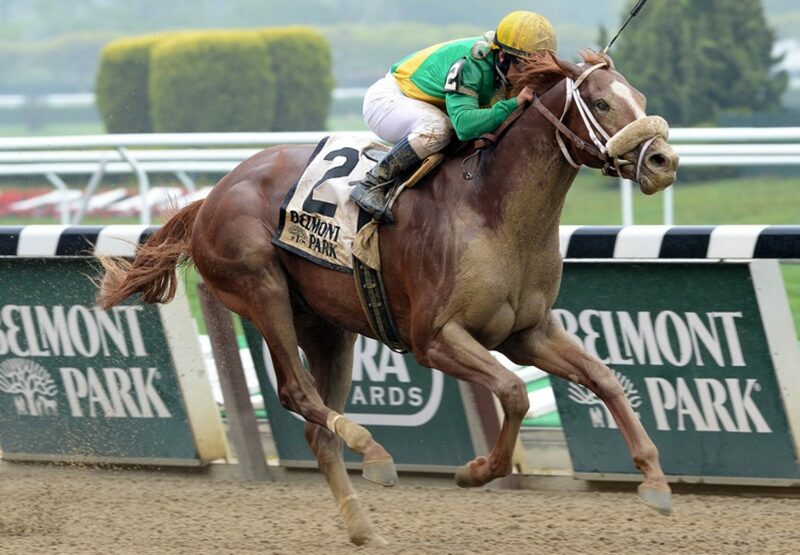 We wanted to find out where he fit and the Peter Pan has historically been a good prep for the Belmont. He earned his way in if he comes out of this well and trains accordingly." A half-brother to stakes-placed A Shin Gold from a full sister to champion sire Tapit, Madefromlucky was a $70,000 Keeneland September purchase that was re-sold for $150,000 at the OBS March 2YO Sale. He is fifth stakes-winner for champion Two and Three Year-Old Lookin at Lucky, whose oldest progeny are three year-olds.